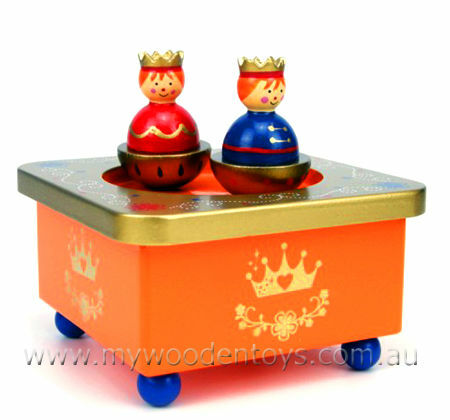 Music Box Royal Kingdom is a beautifully decorative toy with a magnetic king and queen which spin round and round when the music box is playing. This music box is wound up by a key on the base. The king and queen are magnetic and are spun in a circle by the magnets hidden inside the box. We like this because: "Very beautifully finished."